Is this a farewell for the Indus dolphin? THE Sindh government is planning a pre-feasibility study regarding straightening 180km of the Indus riverbed, falling between Guddu barrage downstream and Sukkur barrage upstream. Many irrigation experts don’t find doing so advisable or realistic. The provincial government is likely to have the pre-feasibility study proposal included in the forthcoming FY2019-20 budgetary estimates to analyse its pros and cons. A hypothetical cost of Rs3-4 trillion that might be sufficient to rehabilitate the entire irrigation network in Sindh will be involved if the government, indeed, decides to give a go ahead to the project, which also seeks to create more land for agricultural purposes. Rough estimates expect 600,000 acres to be reclaimed, of which 200,000 acres might be utilised for lining the riverbed. The remaining land will be available for cultivation outside the river’s right and left bank dykes, to be allotted to landowners with the right political connections. This unique proposal is said to have come from veteran parliamentarian and PPP leader Khursheed Shah — a big landowner based in Sukkur. It is supposed to have been discussed at some length with the Sindh chief minister, irrigation experts such as Idris Rajput, Zarif Khero, a Sindh irrigation department officer who has served at the Sukkur barrage, the special assistant to the chief minister on irrigation and Ashfaq Memon, the former Sindh irrigation secretary, amongst others. Chief Minister Murad Ali Shah — an engineer by profession — submitted a project titled ‘channelisation of Indus River from Guddu barrage to Sukkur barrage’ in CPEC last December which was then was sent to the Joint Working Group (JWG) for final approval. The JWG will take it up in March. Justifying the project, the chief minister had told journalists at the time that channelisation would greatly aid development of the agriculture sector and save water, along with controlling water logging and salinity in districts located on both banks of the river. He believed the project would also help save the area from floods and develop farmlands in kacha areas. However, some irrigation experts like former Sindh secretary irrigation Khalid Hyder Memon believed that the submitted project was not practical. Meanwhile Idris Rajput contended that there was no precedence for a project where a river that meanders as the Indus does was ever straightened. So, Mr Rajput opined at the time, that a pre-feasibility for the proposed project was required. 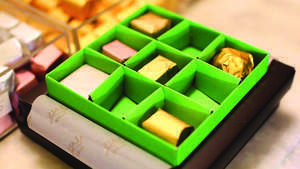 Several other issues of vital importance were to be evaluated before the project was to be given serious consideration. They ranged from availability of funds to the overall behaviour of the river Indus, especially during floods and super floods. Under the proposal, to straighten it, the width of the riverbed between the right and left dykes are to be narrowed to roughly 5km. Currently, they are invariably around 12-20km wide post-Guddu barrage, and 7-10km on average. Super floods in 2010 had breached the Indus dyke between Guddu downstream and Sukkur upstream on Aug 7,2010 at 60km downstream Guddu, wreaking havoc in eight districts located on the right bank of the river. The project would seek to turn the Indus River into a channel that passes through the two barrages. However, according to one irrigation expert, it was easier to line the Rohri canal because of the rough terrain there, but the dynamics of the Indus are entirely different. Removing sediment that will accumulate in this channel will be an insurmountable task. He added that there were other technical, environmental and riverine issues that must also be addressed. Lastly, the jurisdiction of the Federal Flood Commission, which manages the all river dykes in the country, must also be considered. Khalid Hyder Memon, who served as the Sindh irrigation secretary during the 2010 super floods, failed to understand the meaning of channelisation. Does it mean ‘to straighten the riverbed’ or ‘narrow the passage’, he asked? According to Mr Memon the Indus River has peculiar dynamics: “Is the government considering the mighty Indus to be the same as the Rohri canal? There are massive encroachments in between these two barrages that are already obstructing river flows,” he said tartly. 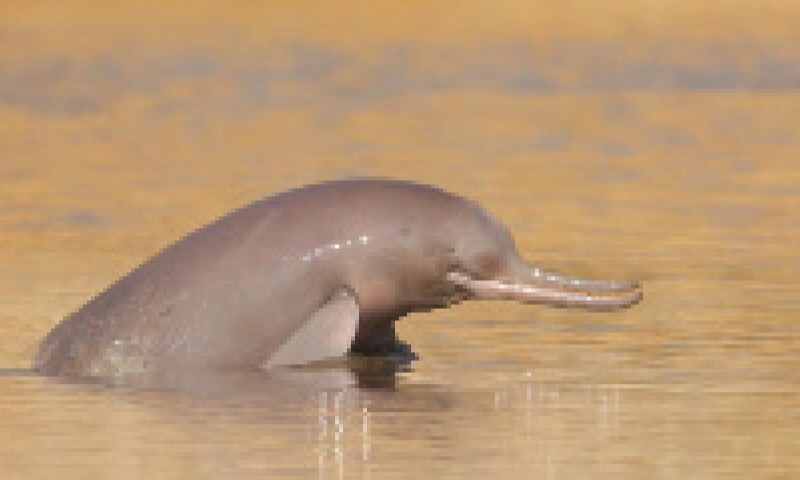 Another fact that has been lost sight of is that the Indus is the natural habitat of an endangered species: the Indus dolphin, or Bhulan as it is locally called, which abides in the area between the two barrages. The World Wildlife Fund (WWF) is concerned that tampering with natural structures may lead to the Indus dolphin facing extinction. According to the Environmental and Social Assessment report drafted by independent environmental consultants for the “Sindh Barrages Improvement Project — Guddu Barrage Rehabilitation” in 2014, a 170km stretch of the river Indus between the Guddu and Sukkur barrage is designated a national protected area as the Indus Dolphin Game Reserve. The study said that as per 2011 estimates, the reserve holds a population of 918 dolphins whereas in 1975 only 150 dolphins were recorded at this reserve, signifying the effectiveness of the conservation efforts carried out so far. 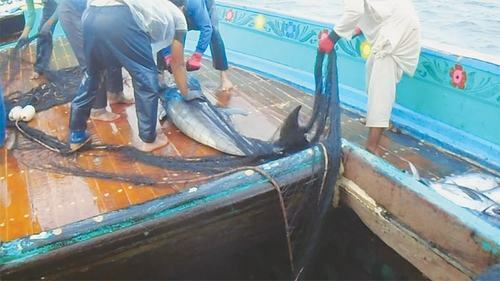 It said in a survey conducted by the Sindh Wildlife Department in 2011 between the Guddu to Sukkur barrage, of the 918 dolphins seen, 804 were mature, 47 were young and 67 were babies. 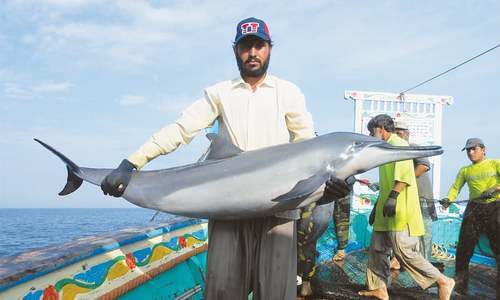 Zahid Junejo, former managing director of the Sindh Irrigation Department and consultant for Guddu barrage’s rehabilitation, pointed out that as consultants they were facing stricter conditions in Guddu’s rehabilitation, applied on them by the WWF to ensure that the Indus dolphin’s life and habitat was not disturbed. This blind species remains active between 5pm to 5am. He said that emission control and even the sound of different machinery used in the project was to be controlled as best as possible. Mr Junejo observed if the channelisation project went through, because the flows in the river are erratic and the Indus was a high yielding silt river, perhaps re-designing the Sukkur barrage would be required as a steeper slope would be needed if the riverbed in the above-mentioned reach was to be lined. When approached, the chief minister’s special assistant and ex-Sindh irrigation secretary remained non-committal on the issue as to the viability or otherwise of the project. He preferred to keep his fingers crossed till foreign consultants prepared the pre-feasibility. “We are going for a pre-feasibility for which funding is available under the World Bank funded Sindh Barrages Improvement Project,” he said. “Experts told us nowhere in the world had such project been executed. But then we have do so many things that have not been done in other parts of the world either,” he claimed. Why they are doing this: to quote the article : "land to be allotted to landowners with the right political connections." Today they will kill Sindh's icon - the indus dolphin...tomorrow they will go after Sindhis. The Indus Dolphin chose the wrong river. Not only animals rather humanity is too facing extinction to its core. .
Pakistani doesn't have much of a wildlife.So dolphins should be saved. Same old corrupt people scratching each others back. Poor peasants will be either displaced or left out all together. Tampering with the eco system has been the Mans biggest mistake throughout the years. A good example is deforestation and it outcomes being faced across the country. Altering the natural landscape can and will have devastating and irreversible affects. Above all this plan perhaps is being engineered to benefit the wealthy zamindars. Let the mighty Indus keep its natural route as it has done since several millenniums. @Nadeem, The river chose them. Hope a good way is found to save dolphins and aid development too. Here in india dolphins in ganga are endangered too. If our government's plan succeeds then there is some hope for dolphins in ganga. Fervently wish that IK too does something for sindh dolphins.